The Crewsaver Race Top sets the bar for breathable performance thermals. 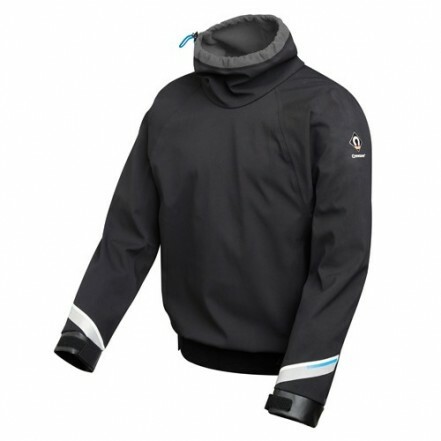 Its waterproof fabric (with a 10 K hydrostatic head) is fused with soft internal fleece lining providing the thermal protection needed to stay on the water for longer. Another benefit is the additional thermal protection offered by the foldable collar for optional face coverage. Lightweight and compact, the Crewsaver Race Top is an unmissable addition for any watersport enthusiast.